Spain approved a 4 billion euro package to support its ailing car industry and protect jobs after a string of layoffs and stoppages at vehicle plants. BRUSSELS (Reuters) -- The European Commission expects more information from Spain on the country's funding package for the automotive sector before approving it, Commission spokesman Jonathan Todd said on Monday. "All I can say at this stage is that we're looking for further information on this plan from the Spanish authorities. We apply the same (competition) criteria to all," Todd said. On Friday, Spain approved a 4 billion euro package to support its ailing car industry and protect jobs after a string of layoffs and stoppages at vehicle plants. Under the Spanish plan, the government will channel 1.2 billion euros in state credit to boost car purchases during 2009 and 2010. Spain will also earmark 800 million euros to help car and vehicle part makers upgrade plants and boost value-added production. A further 950 million euros will go towards improving rail, road and sea distribution systems and 320 million euros towards research projects, over 2 years. The government will give 100 million in tax breaks on research spending by firms. The remainder of the 4 billion euro package is made up of state credit lines. 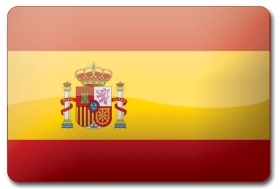 Most of the measures have been previously announced as part of Spain's 70 billion euro economic stimulus plan. Last week, France offered a 6 billion euro state loan for Renault and PSA Peugeot-Citroen and ran into criticism from EU who said the move amounted to protectionism. Britain and Germany have also announced support for their auto sectors.